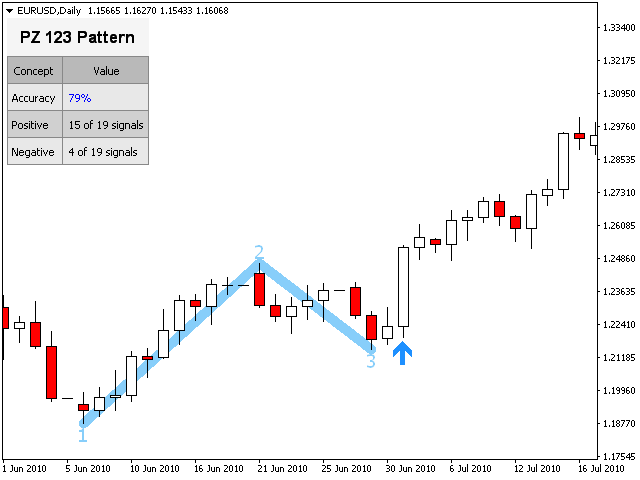 The pattern is made up of three price points: a bottom, a peak or valley, and a Fibonacci retracement between 38.2% and 61.8%. 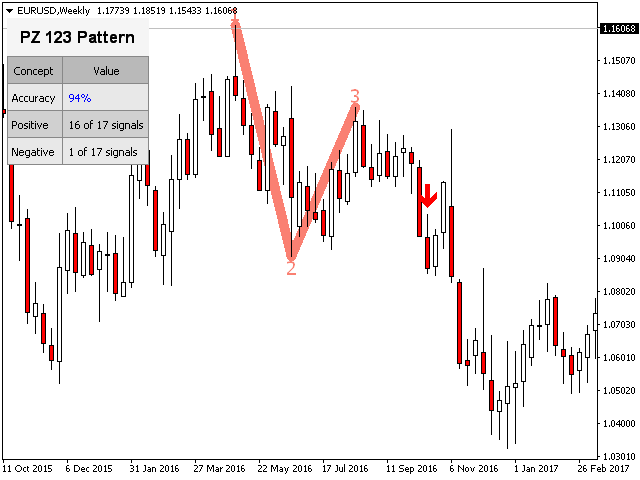 A pattern is considered valid when the price breaks beyond the last peak or valley, moment at which the indicator plots an arrow, rises an alert, and the trade can be placed. 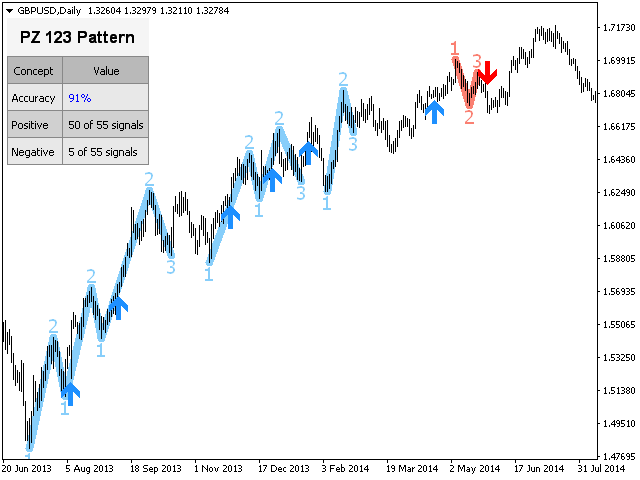 123 Patterns can present themselves as continuation or reversal patterns. 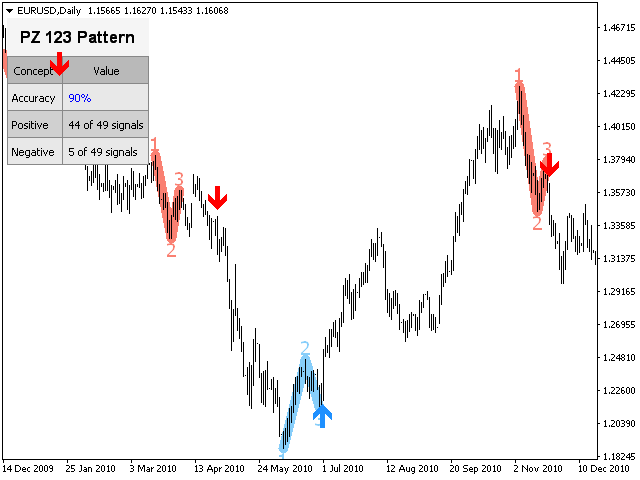 To make things easier, the indicator allows you to choose which type of patterns to look for, making it a fantastic tool for trend or reversal traders. 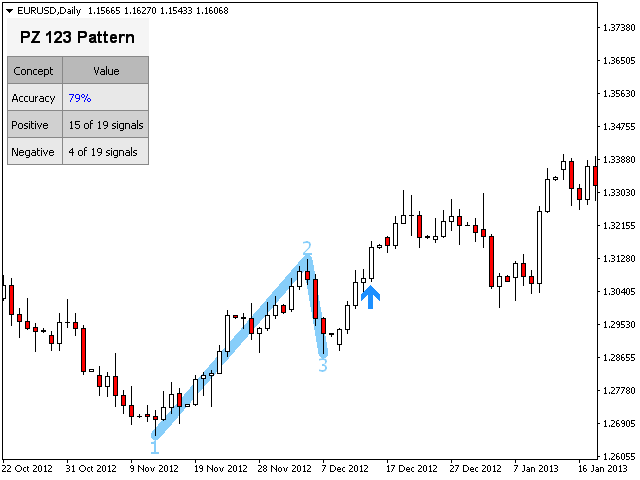 When loading the indicator to any chart, you will be presented with a set of options as input parameters. Do not despair if you think they are too many, because parameters are grouped into self-explanatory blocks. This is what each block of parameters does. 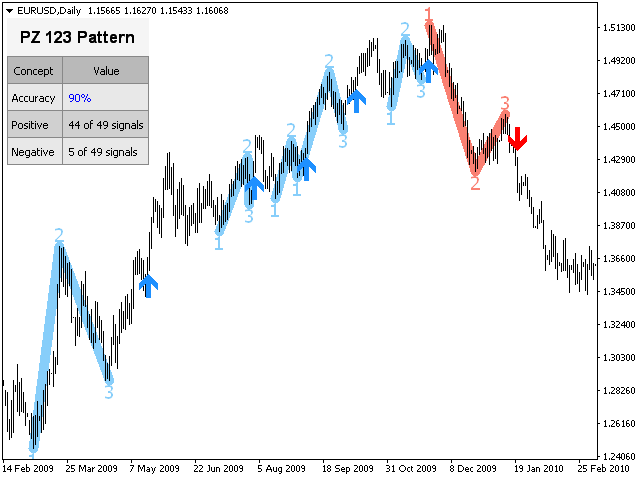 Amplitude - The amplitude represents the minimum amount of bars between alternative price points. 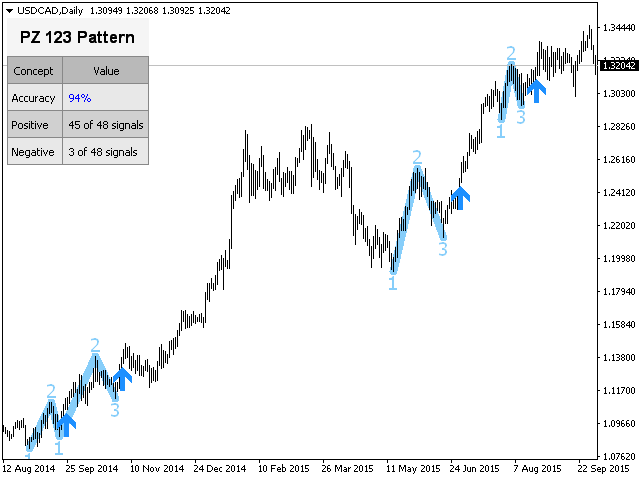 To find big patterns, increase the amplitude parameter. To find smaller patterns, decrease the amplitude parameter. Min. 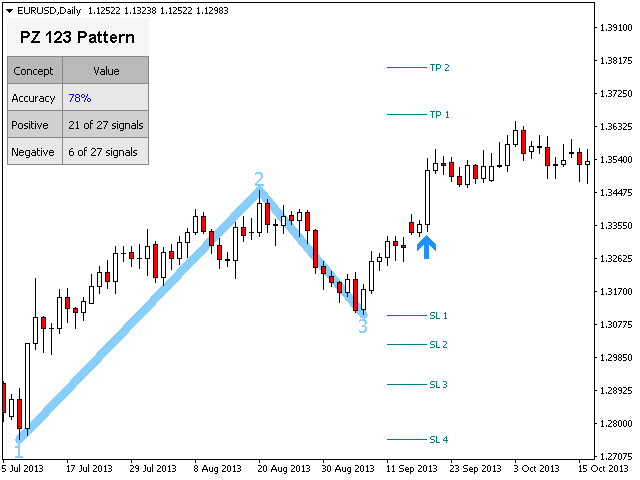 Retracement - The minimum Fibonacci retracement needed in a pattern. Set to zero not to evaluate it. Max. 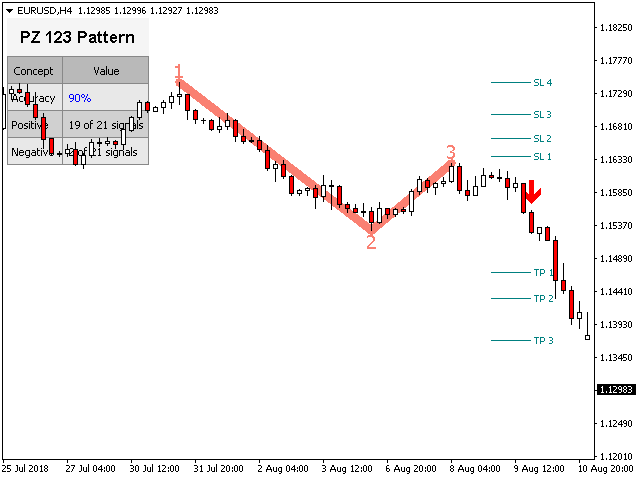 Retracement - The maximum Fibonacci retracement possible in a pattern. Set to zero not to evaluate it. 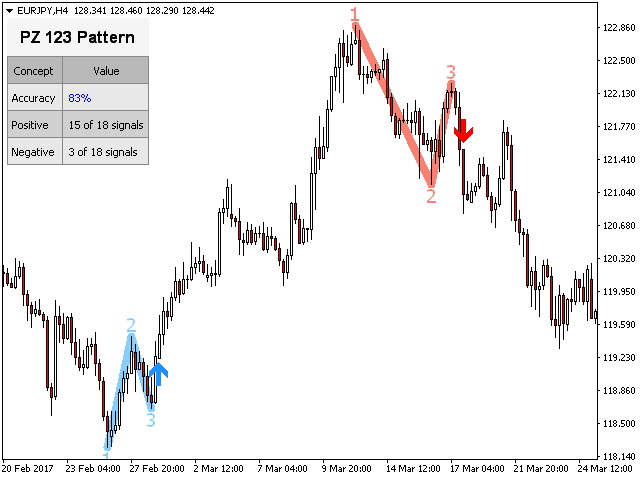 Pattern Type - The indicator can look for reversal patterns, continuation patterns or both. Your choice. 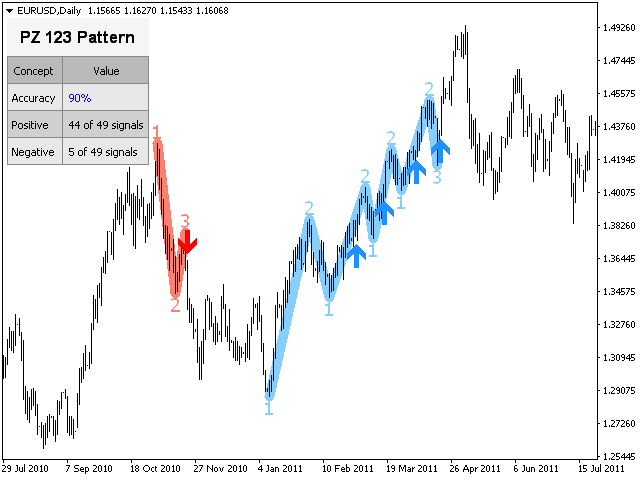 Display SL/TP Levels - Show or hide suitable stoploss and takeprofit levels. - Bug fix on DeInit.